Happy summer from the Francisco Park Conservancy! 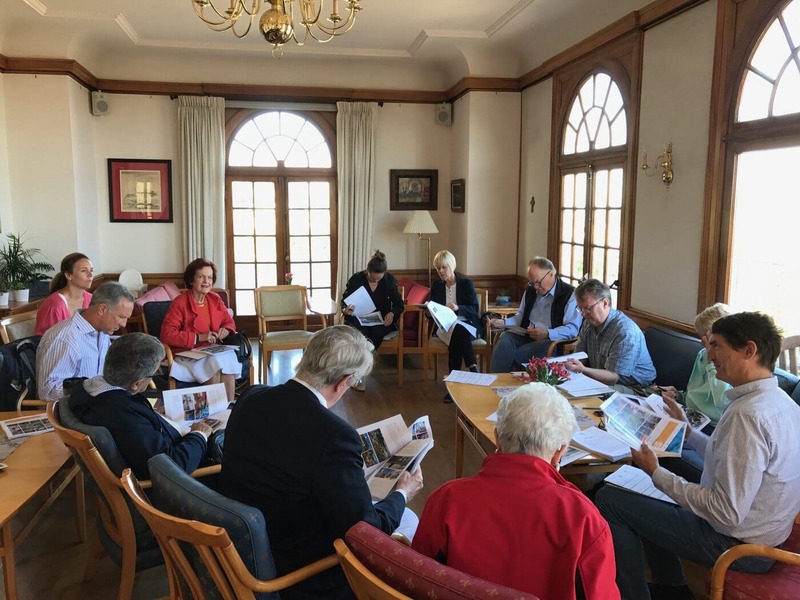 The Francisco Park team presented to the Civic Design Review Committee, an appointed body within the Arts Commission that reviews all development on City-owned land, at their June 19 meeting. We presented the park’s conceptual design, which we shared with many of you at the last community meeting in May, and answered questions about the plan’s adaptive reuse of the historic reservoir, ADA accessibility, and more. We are thrilled to report that the Committee was very supportive of the plans and unanimously approved the park’s conceptual design! The Francisco Park team has now entered into the next phase, known as schematic design, during which our team of experts develop conceptual park features into more specific, detailed architectural plans. We will continue to update you as we approach the next major milestones. The Francisco Park Conservancy continues to meet with community leaders and others interested in the park design. In recent weeks, we have met with several key advisors, including the historic preservation experts at the Planning Department, the Maintenance Yard division of the Recreation and Park Department, and the SF Parks Alliance. Want to join a focus group and play a part in the design of the park? Know of a community group or neighborhood association who would like to learn more about the park? We want to hear from you! Please email us at info@franciscopark.org. Francisco Park Conservancy Board members and other volunteers gathered to review RFP responses. With a consensus conceptual design in hand, it has become necessary to engage additional resources to start work on specific elements of the new Francisco Park. In a process led by 450 Architects, we issued requests for proposals (RFPs) for structural engineering, lighting, presentation/education of the historical aspects of the park; mechanical, electrical, and plumbing services; as well as the design of the children’s playground. The RFPs were distributed widely and also available on the Francisco Park website. More than 15 firms responded in total and we are progressing through the selection process in each focus area. We will share news of which firms are chosen in an upcoming newsletter. This is an exciting process and we are thrilled to be adding more enthusiastic and highly-skilled experts to our team! Did you know July is officially Park and Recreation Month? Our city celebrated early with the announcement that every San Franciscan now lives within a 10-minute walk of a park. The Francisco Park Conservancy is thrilled to play a part in adding to the city’s open space. You can watch Rec & Parks’ video highlighting the milestone here. Celebrate our city’s great parks with the SF Recreation and Parks Department’s packed schedule of events, found here.